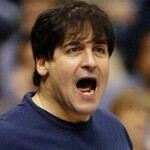 Mark Cuban is probably the most outspoken and well-known team owner in sports. As the owner of the Dallas Mavericks, Cuban has been a maverick himself, making billions when Yahoo paid $5.7 billion for Broadcast.com. He also is one of the sharks that invest in ground floor opportunities on ABC-TV's ratings success Shark Tank and has also appeared on television plugging Skechers. Cuban lives a fairly open life for a multi-billionaire (think Howard Hughes) and had a thread on Reddit where he invited any and all questions. In response to a question about which smartphone he uses, Cuban replied that he has two phones (would you expect any less from a man who could buy every model on the market?) with one being a Samsung model. 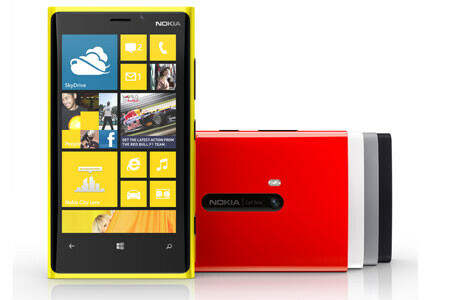 As far as the second handset is concerned, Cuban said, "The new Nokia with windows replaced my iphone 5. It crushes the iPhone 5. Not even close." He also lets us know that the Samsung is on T-Mobile's 4G network and that he loves the Wi-Fi calling option. Even a man set for life likes to save money. He adds that he loves the "open Android and Samsung platforms" and uses a replacement keyboard to increase his typing speed. While the self-made billionaire didn't exactly specify which Samsung or Nokia models he owns, we'd expect him to carry the Samsung Galaxy Note II in case one of the Mavs or even an opposing player like LeBron James needs to borrow the phone. And we can imagine him owning the Nokia Lumia 920. Ah, the life of a billionaire. Able to buy the latest handsets off contract as soon as they are launched. Yet, we have to applaud Mark Cuban's willpower. After all, most of our readers would own much more than two handsets if they had billions. Perhaps he is too concerned with the mediocre play of his basketball team which has a 12-16 record, 2 1/2 games behind the resurgent Minnesota Timberwolves for a playoff spot in the NBA's Western Conference. Why do people insist on calling it a lumina?!? I hear it everyday at work! Stop it!!!! Guys got a good head on his shoulders I'd say. For me Nokia did innovate the most in hardware, in software they didn't have a free hand. In software, it was samsung. Some brilliant new features. Best of both worlds, Nokia for WP and Samsung for Android. There's 3 worlds. The third is called the real world where iOS, wp8, android, Symbian, and BB all exist. 920, pardon my typo^ 929 is a neat car though, last RWD sedan Mazda made in the U.S., I believe. I got my wife the Lumia 822. Its actually really sweet! It crushes my Android device. According to some rumors the phone headed to Verizon will be thinner and lighter compared to 920, more RAM and 64GB of internal storage, and an all-new pureview camera, I hope that the rumors are true. I doubt he has any valid ones.